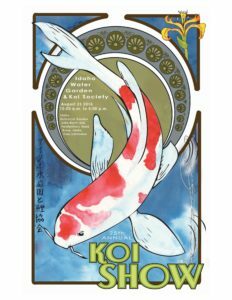 We are getting ready for our 25th Anniversary Koi Show this year! We have again partnered up with the famous Idaho Botanical Garden as the venue and the Bonsai Club to make this years show another fun and exciting event. It will run from 10:00 am to 4:00 pm Saturday, August 25th 2018 and as always, everyone is invited. As usual, the IBG is foregoing their normal admission charge and inviting the public to visit the majestic Garden during these hours on the day of the event for free! The Show features a Trade Show with both wet and dry vendors that cater to our hobby selling various merchandise and Koi fish. The Japanese drummers, Kawa Taiko is back and will be performing straight-up at noon in front of the Cottage House in the Garden and the Bonsai Club will have many magnificent Bonsai on display as well as will be teaching a free class on Bonsai! And if you are hungry or thirsty, visit any of our food vendors at the Show site. If you would like to attend the awards ceremony and banquet, please email Diane to RSVP. 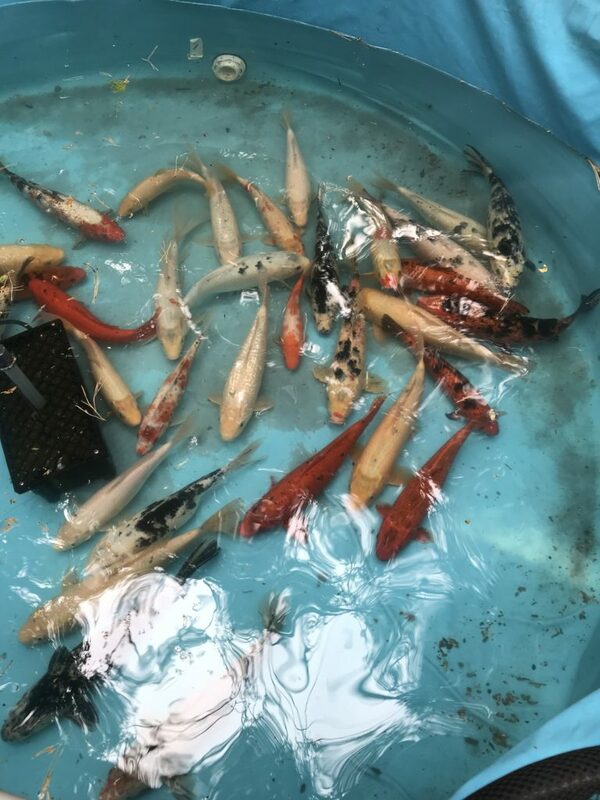 On August 20th, IWGKS members rescued 37 beautiful pond-quality koi from a private backyard pond. Predators are a concern in this part of town, and the owners decided to rehome their fish. Most of these koi are around 8-10″ long, some are about 6″. Most will be priced at $15-20, some may be less. There will also be other koi available at bargain prices. Many of these were born in our ponds. Come see our sale tanks and take home a unique addition to your pond!